Please find our company description in brief including reference projects of our range of services as a PDF for download. If you have any further question, please feel free to contact us either via E-Mail or by phone. 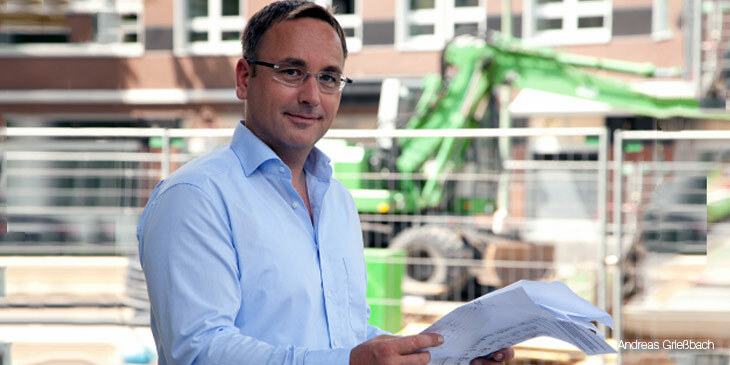 HERON was founded in February 2010 by CEO Andreas Grießbach. After graduating as a construction engineer in 1991, he acquired greater knowledge and competence in the area of both project planning and project implementation within several projects over the years. With this background HERON today is an established company located in Berlin-Charlottenburg. A dense network and numerous good contacts to technical planners, experts in diverse fields, administration and accomplishing companies makes HERON your reliable and competent partner, performing cost- and resource-effectively. Colleagues at HERON are specialized in the fields of modernization, fire safety regulations, restoration, residential, office and commercial building, building construction services, alteration, monument protection and assessment. Update and extend of knowledge on a regular basis is self-evident.